Hi there, We’re busier than ever preparing for the holiday season. As I mentioned in my earlier blog post we’re developing an improved travel feature. This feature has a few levels so we’re releasing it in stages. In the first part of the release, you can search the world and even save/bookmark your favorite locations so you can check out who’s there any time you like. In the next release you can choose to be searchable, or found, in multiple locations. And just when you thought that it couldn’t get any better, it did. Searching on the beta site has become even faster with the introduction of Dynamic Search. Now, when you tweak your search filters you will notice the results appear immediately on the screen without first having to save the search, so finding Mr. Perfect just keeps getting easier, faster and much more fun. In the upper left-hand part of the screen you’ll also notice that we improved the dialog box so you get easier search stat selections. Cool, huh? 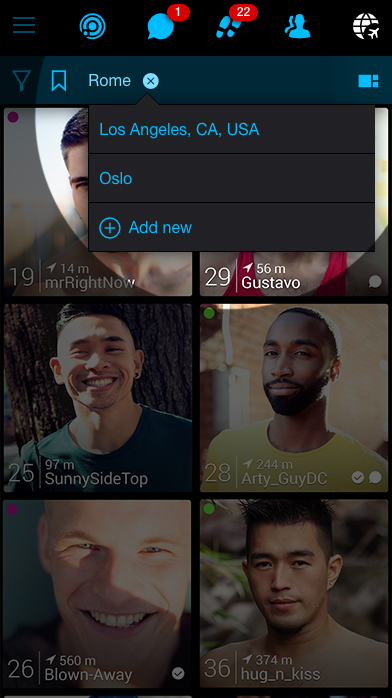 In the next PlanetRomeo, your search results are based on which filters you choose. We improved our filter/search concept. So, when you like your search configuration enough to keep it, you can “bookmark” the filter and reuse it whenever you want. Currently, the use of bookmarks only supports searches but in the future profiles, pictures, clubs, etc. will also be ‘bookmarkable’. - More profile improvements: Now profiles show your connections, like partner profiles and friends located at bottom of the stats section - Known Personally Level: Is this a trustworthy profile? See how many other profiles say they know this user. - Report User: You can help us to keep improving the content quality on our platform by reporting users who are not playing by our rules. The ‘Report User’ link is at the bottom of the stats. - Profile editing: Edit all your profile content, including stats, text and images.